Tutankhamen ruled only 9 years and died very young, at 18, so he is known as The Boy King.Tutankhamun was a pharaoh of ancient egypt from about 1334 BCE to 1323 BCE. What was Tutankhamens significant achievements? The king also restored Thebes, which was a scared city of Amon and it was made the capital city of Egypt. He also saved Egypt from the chaos his father had put it in and helped the city regain stability and a normal way of life. How old did Tutankhamen live to ? 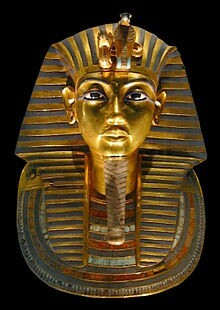 Tutankhamen lived to only the age of 18, this is why he is known as the boy king. The reason why Tutankhamen is so well known today is that his tomb, containing terrific treasures, was found early in the 20th century (1922) by British archaeologists. He is also famous for being a king at a tender age of 9 years. Tutankhamen was buried in a prepared tomb at a place in Egypt called the Valley of the Kings, the traditional burial of the pharaohs.